An unprecedented cinematic journey ten years in the making and spanning the entire Marvel Cinematic Universe, Marvel's Avengers: Infinity War brings to the screen the ultimate, deadliest showdown of all time. Beast Kingdom has paired up with Marvel to offer fans the Avengers: Infinity War Iron Spider DS015 D-Select 6-Inch Statue - PX! 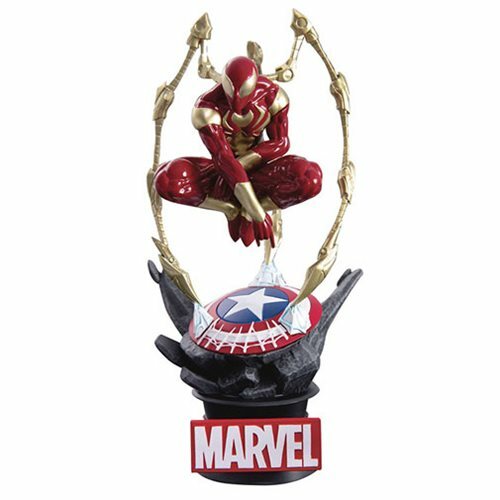 This Iron Spider Statue features him posed ready for battle with his mechanized suit! Spidey is perched atop a diorama Marvel branded base for a distinguished piece that will look great in any Marvel collection!